Save 66% off the regular price! 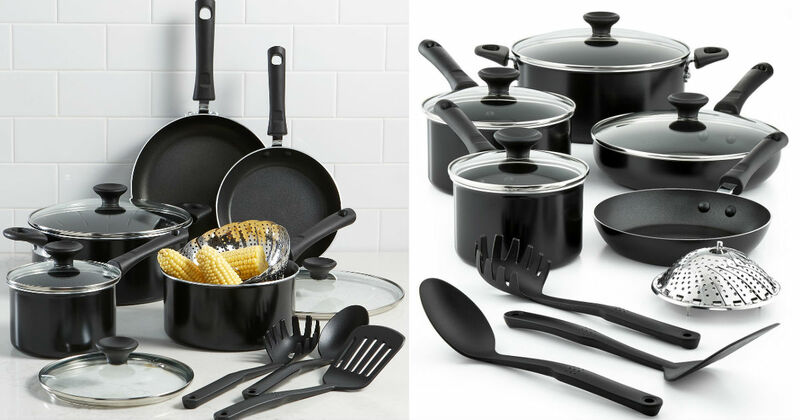 Through 3/26, Macy's has the Tools of the Trade 13-Piece Cookware Set for only $39.99 (Regularly $119.99). Enjoy non-stick performance and a variety of the essentials you turn to most with this Tools of the Trade cookware set.